Chapter 4 contained a bulleted list of the advantages of ebooks and printed books, and the advantages of the latter paled in comparison to the three-plus full pages of handy tools and appealing aspects of electronic books that printed books simply aren’t capable of. 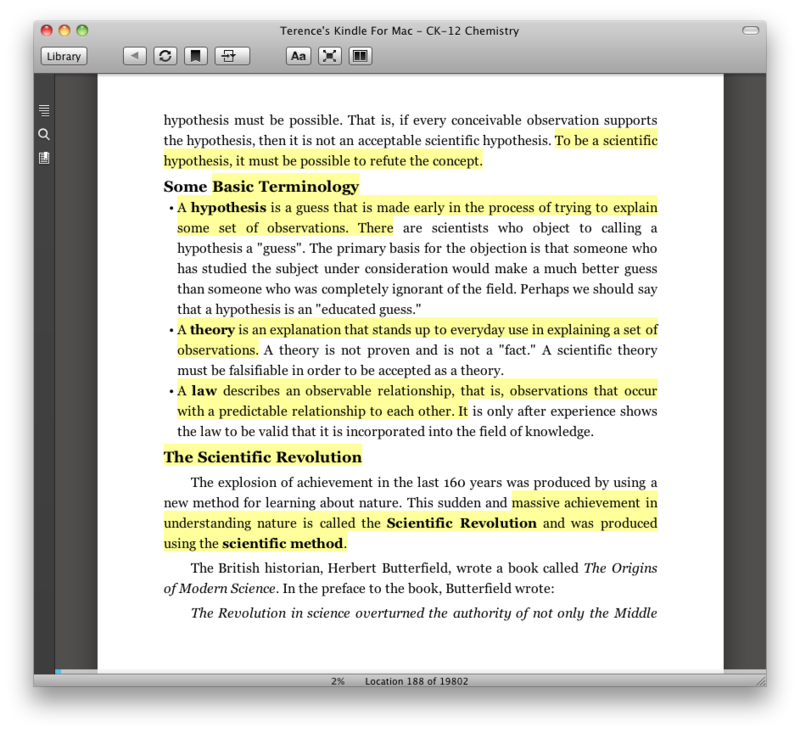 Electronic books are the future, enhancing the experience of the reader by offering highlighting tools, assisted reading, and adjustable text size, among other things. You can even consult the dictionary and import Word and PDF files on a tablet without worry of draining the device’s battery. The popularity of ebooks is rapidly increasing in lieu of alluring features, and it’s further evidence that the future of the book is now. Here is an additional link expanding on the features of the ebook. I've yet to purchase an E-reader, but I really do have to wonder when I'll finally break down and do so. I love the look, feel, and even the smell of physical books, but at the same time these things just keep getting better and better--not to mention cheaper and cheaper. I'll be interested to see just how well larger publishing companies will be able to adapt to this new technology, as I know that they probably feel more threatened by the change they represent that even we who study English. Not to mention, the educational possibilities of being able to have the text and an explanation for it side by side may well help many to comprehend more difficult texts, though this could perhaps become a bit of a crutch for those less inclined to they themselves read. I don't have an eBook either, so I didn't know about all these features that come with it. I would love to be able to look up a word I don't know as soon as I stumble across it (I'm taking French right now and there are a lot of unfamiliar words in the book I'm reading) but wouldn't that take away from dictionary sales? There are a lot of ups and downs that come with using eBooks over printed books, but my main concerns are a) battery life and b) as a college student, whether or not I could sell it after I buy it. I have an eBook, but received it as a gift and felt pretty salty about it! It sits in my closet and collects dust while I refuse to convert to "the new" technology. I really like how you admitted that you too are abstaining from this movement towards the eBook but also that you listed the good things about them. This is a great blog! Keep up the great work!